New patients are always welcome. Dr. Christopher Mallow has provided individual and family dental care to the Blissfield area for 25 years. Patient care and comfort are top priority and his staff takes pride in using a gentle, informative approach. Patients feel at home with personalized consultation, modern comforts and a friendly atmosphere. Special care is taken to ensure patient needs are met while maintaining the goal of optimum oral health. The nurturing environment at Dr. Mallow?s office will make even the most fearful patients feel at ease. 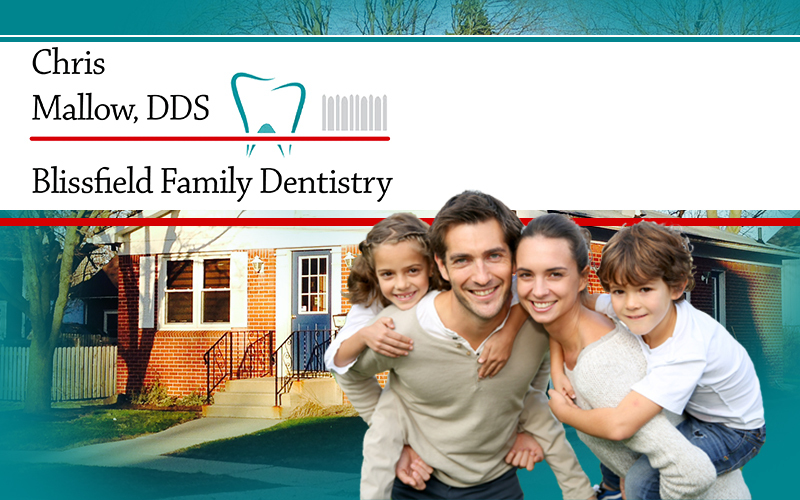 We are committed to providing patients with ample information to make informed decisions for their dental care. Contact us today to ask questions or to schedule an appointment. Give us a call or use this online contact form to get started. You can also find useful dental health information within this web site, as well as details on our many cosmetic dental services available. Hours: Monday: 7:00 a.m. - 7:00 p.m. Tuesday: 1:00 p.m. - 7:00 p.m. Wednesday: 7:00 a.m. - 3:00 p.m. Thursday: 7:00 a.m. - 2:00 p.m.